Set in the lush, green countryside of Thorpe, this beautiful “chocolate box” pub is everything a good, traditional English pub should be. 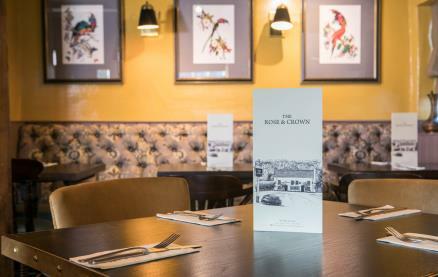 The Rose and Crown offers great food, all day, everyday; our delicious menu complemented by perfect pints and a great wine list from around the world as well as a fabulous Sunday roast served from 12:00 - 17:00. The Rose and Crown is family friendly too, with a kids menu, colouring competition with monthly prizes and a great play area in the rear garden. 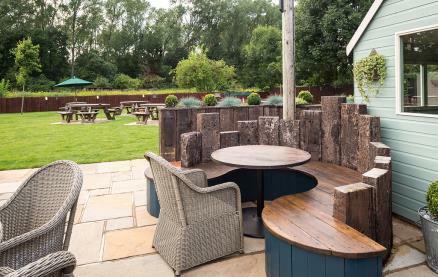 Our beautifully-kept gardens and large patio area are perfect for alfresco dining. In the summer months, the outside bar is open, selling chilled bottle beers and wine and taking orders for ice-creams, snacks and food for outside dining. 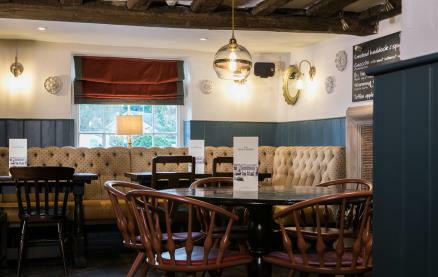 Situated 15 minutes from the M25 and 10 minutes from Thorpe Park, The Rose and Crown makes an ideal meeting place. 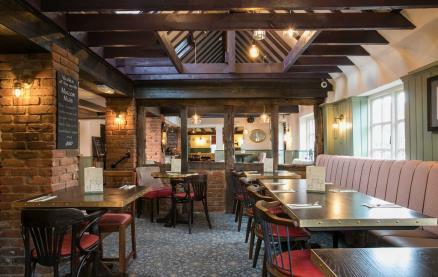 Be the first to write a review and share your experience at Rose and Crown (Thorpe) with other diners. Five stars! Visited on the hot Easter Bank Holiday weekend. 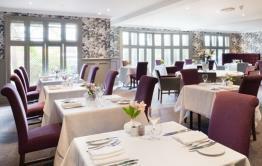 The food, staff and atmosphere were perfect for our late Saturday lunch at the R&C. We ordered a carafe of Pimms, three Ultimate burgers and a Veggie stack and all were large portions and very tasty. The chips were fantastic as well. Amongst the four of us we shared the Sundae (meant to be for 6-10!) and felt pleasantly full by the end of it. Over our last four experiences there, the Rose and Crown has become our favourite Surrey pub lunch and comes highly recommended. 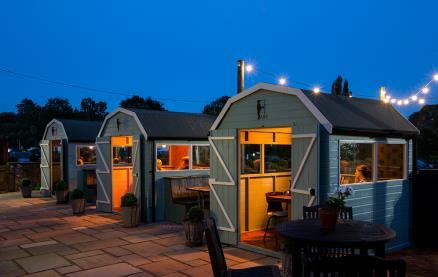 If possible book a dining hut - which gives groups wonderful privacy and some peace on a busy weekend. Lovely pub but restaurant is going downhill. Service is extremely slow, took 15mins waiting to be seated, took 25mins seated, to be asked for drinks. Food menu has been the same for years and is boring. I look at the menu and struggle to find something I want to eat that I’ve not had before. 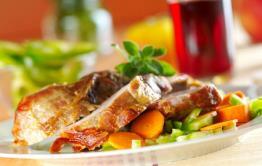 Food quality is not very good and doesn’t match the expensive price you have to pay. Other pubs around are better at food if you want food.